This customer’s kitchen has tons of charm! The stylish breakfast bar acts as the focal point in this space, and it has been beautifully accessorised with some of our items. The clean white surfaces and wood-effect floor contrast perfectly with the industrial feel created by the exposed brick wall. 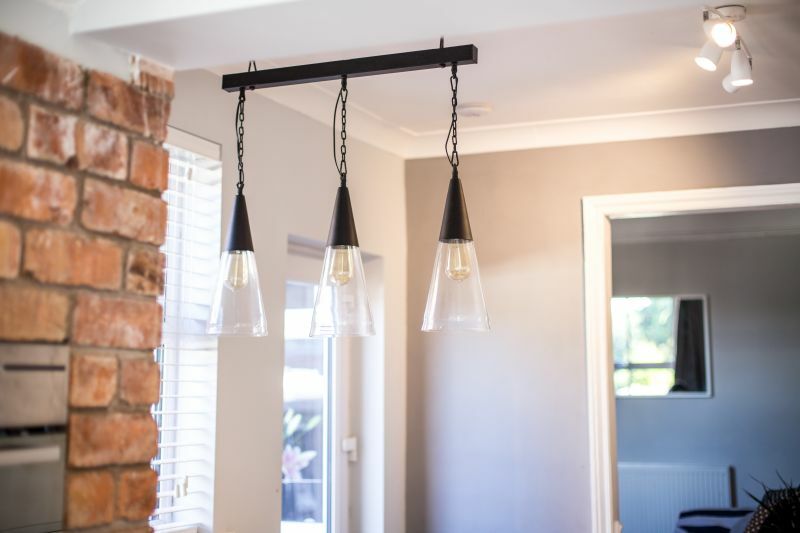 Our gunmetal ‘Tolix’ style stools and conical pendant lights pull the whole look together. The result is a simple but stylish breakfast bar area. 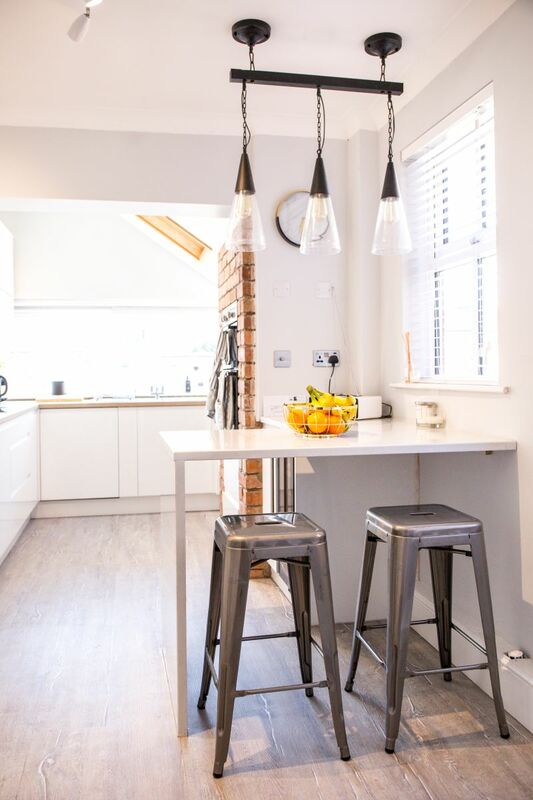 Our ‘Tolix’ inspired stools have a distressed appearance to make them look like older pieces of furniture, perfect for an industrial style kitchen such as this one. They stack to save space when they’re not in use, too! The stools are really versatile and can even be used in unconventional ways, such as quirky shelving or nightstands; see this example on Pinterest. Prefer a different colour? 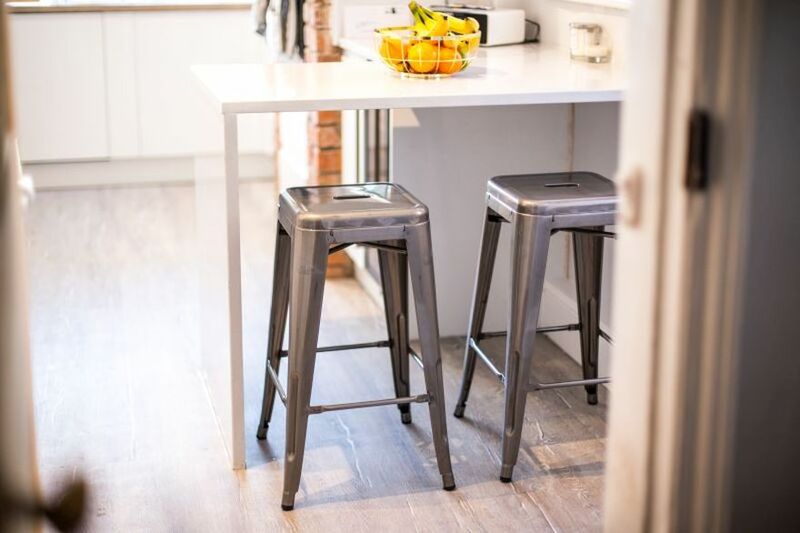 These stools are also available in copper and black, and we stock a taller version. 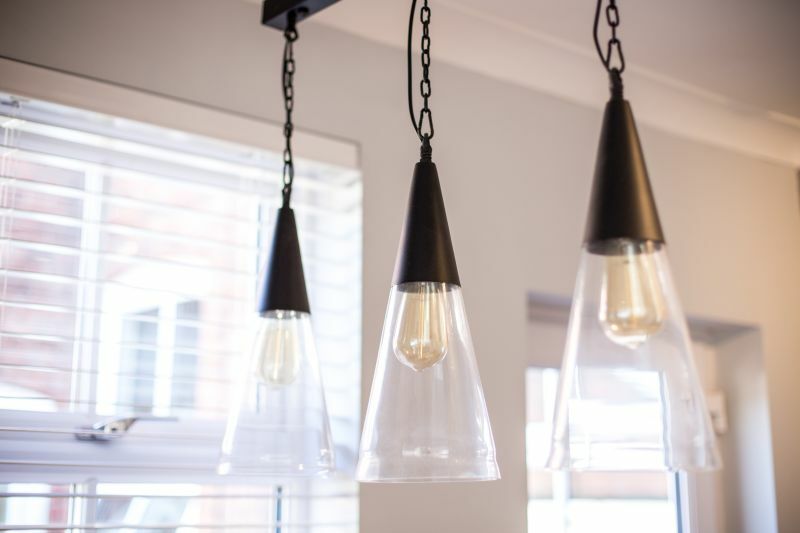 The light features cone glass shades that suit this fresh, open space. 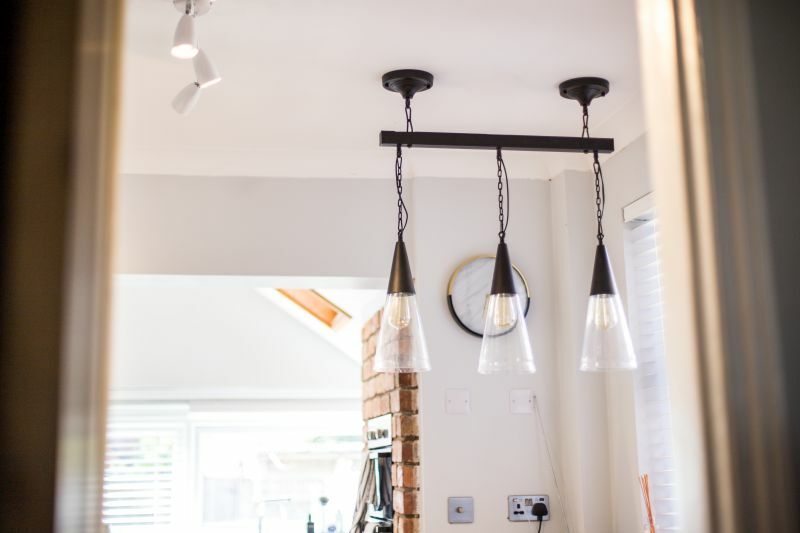 This image shows the chain of three lights, but we also stock chains of six for larger spaces, as part of our vast lighting range. 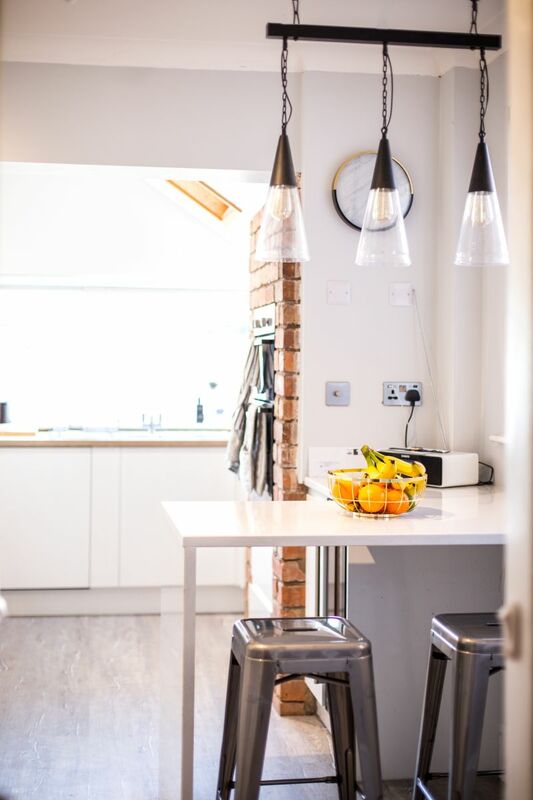 Simple, key items have helped to achieve this edgy, modern kitchen. Do you like it? Let us know!